NOW AVAILABLE!!! The new second edition of the complete Mardukite Year-4 HISTORY OF THE NECRONOMICON (2012) Anthology revised in honor of the Mardukite 9th Anniversary and produced in serial with the current annual anthologies of the Mardukite Core: Year-1 “Necronomicon Anunnaki Bible” (2009), Year-2 “Gates of the Necronomicon” (2010) and Year-3 “Necronomicon Grimoire” (2011). NABU SPEAKS!!! Raising a nation from nothingness took more than just my words –but it was the words that gave the foundation. By elevating the status of Marduk, and with it the line of Enki, the people were ‘brought’ to participate in a Babylonian paradigm. While its influence did not escape even the smallest crevice of the earth, there were places where it was not so adamantly dominant. We were a popular group in Egypt because it was already within Enki’s domain, but in Babylon itself, the struggle to raise, secure and uphold this new nation under Mardukite sovereignty was just that – a struggle. 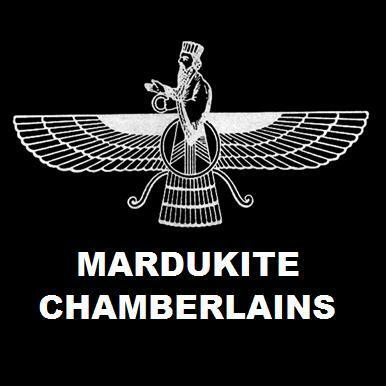 The purely “Mardukite” line is actually quite small when you compare those that came to be known as the Enlilite (Sumerian) gods. Of course, it was really us who portrayed them as gods in the truest sense of a pantheon. Most of this was later blotted out for the sake of monotheism in later religious scriptures around the globe – but as has been expressed, Marduk needed the other gods to exist in order to show supremacy. The Enuma Elis clearly defined these parameters. Aside from Marduk, Enki and myself, few others could be considered so closely connected to the Anunnaki directly. Most of us are really hybrids who came to ‘inherit’ the earth by fairly unconventional means, but it is the truth nonetheless. Human genetics and the conditions for human life were preserved for and by the Race of Marduk – and the original texts (even predating our own Babylonian recension) are practically unanimous in this relay. In order to secure the hold on this ‘earthly power’, we needed more than simply words – though I personally reserved myself to the pen versus the sword. Of course, when necessary… Perhaps by luck or fate, we already had an army – known as the Igigi to the Sumerians – and they were quick to assist the Mardukites… Actually two-thirds of them; approximately 200. In Semitic tongues the Enlilite portrayal of this launched the “fallen angels” archetype that supports the reign of a ‘less-than-heavenly’ abode by a ‘light-bearer’. Yes, seeker, that is earth – this planet; the planet that the Mardukites gave up a seemingly never-arriving cyclic kingship in heaven among the Anunnaki in order to maintain a self-made eternal reign upon the physical world of men and hybrids. The reason this information is kept hidden from mainstream humanity is because humans aren’t capable of running this ‘program’ and still conforming to every-day life. The systems born in Babylon are still very alive and real and I am not even concerned with what you might call ‘magick’ or ‘occult’ in this sense – we are talking about the ‘magic’ of everyday life and your existence in reality! So often the contemporary scholars of the current age are quick to explain all of the ‘firsts’ that the Sumerians may be credited with – and all of which were the domain of Enki, who instructed mankind in what you would call the ‘arts’ of civilization. What’s more, these contemporary scholars and academicians are in no position – and admittedly so – to explain the ‘sudden’ surge of this ‘evolution’ in modern humans.